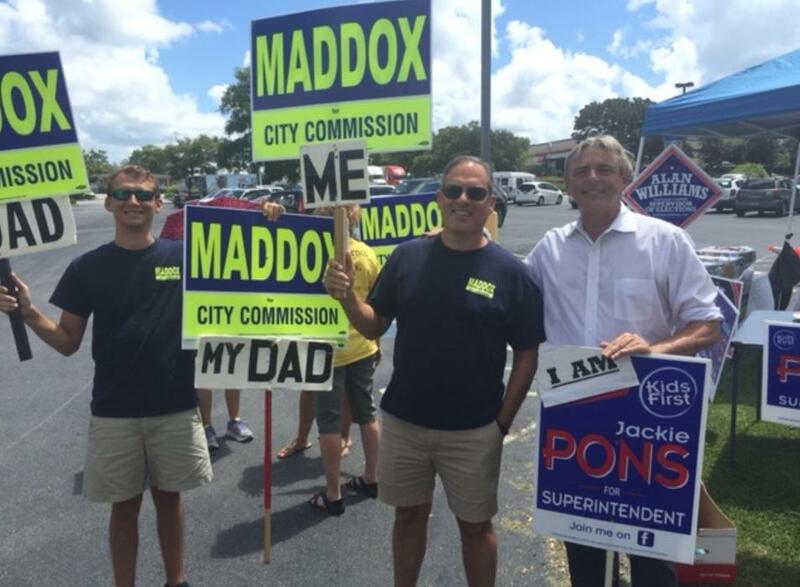 A Tallahassee Commission candidate is calling for current commissioner Scott Maddox to step down after the release of a search warrant detailing the FBI’s investigation of Maddox. 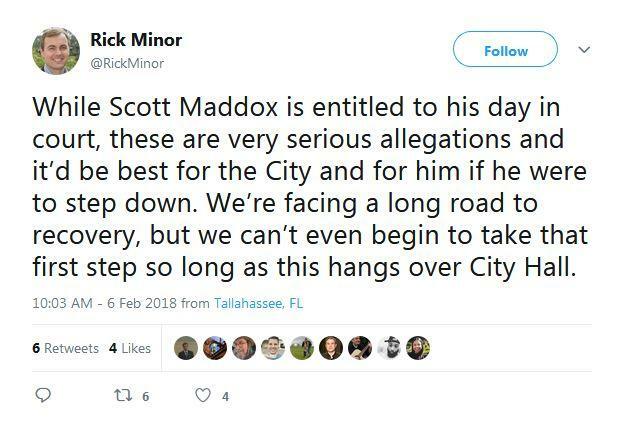 Rick Minor took to Twitter on Tuesday to call on Maddox to step down. Minor is running for outgoing city commissioner Nancy Miller’s seat. 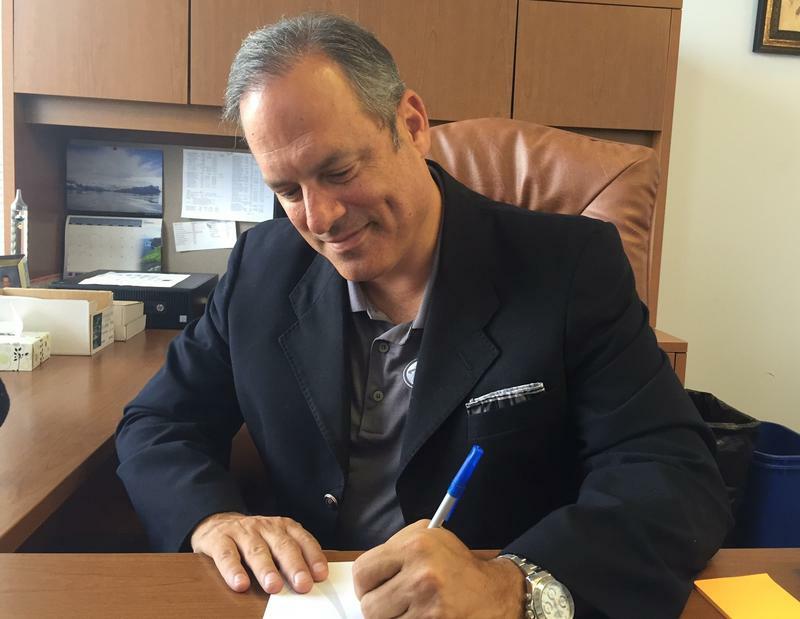 He made a bid for Maddox’s seat in 2015, but dropped out after Maddox said he would run again. It was discovered Monday that Maddox is the subject of an FBI investigation after a 21-page search warrant was accidentally posted online. The document lays out allegations of bribery and conspiracy by Maddox and his business partner, Paige Carter-Smith. It alleges Maddox may have been accepting bribes for votes by funneling money through a company, Governance Inc., that Maddox sold to Carter-Smith. Tallahassee Mayor Andrew Gillum weighed in Monday saying he is troubled by what he has read and hopes for a speedy conclusion. Tallahassee Mayor Andrew Gillum says he’s hoping for speedy conclusion to the ongoing FBI probe into public corruption in the city government. The statement comes after the Tallahassee Democrat first reported a search warrant was issued for city commissioner Scott Maddox’s iphone accounts.